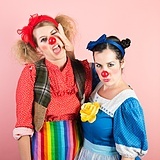 Meet Morro & Jasp: Clown sisters trapped in kids TV hell but all they want is to be taken seriously. MORE MORRO AND JASP pls. I am a huge fan of your theatre productions, even have a Morro & Jasp t-shirt. I would have loved to see more of your bold and edgy comedy that I'm familiar with in this pitch. Not sure I can envision a series here, but so excited you're branching out. Kristian here, working on Cooking with Heat. You do know I love all things Morro and Jasp! You two are funny! 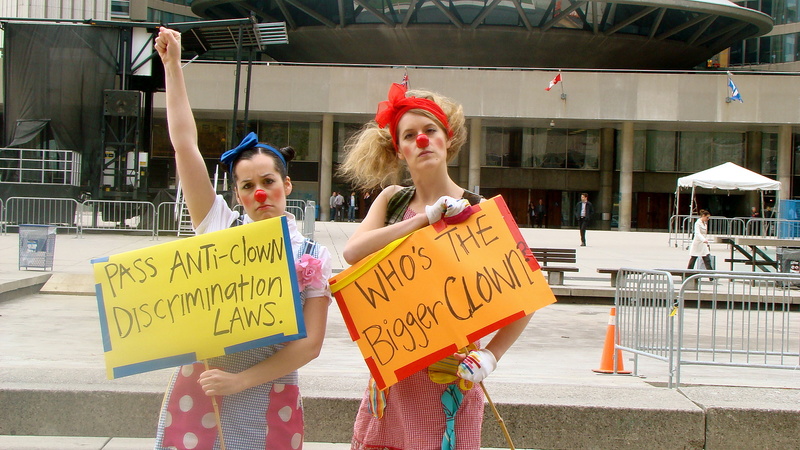 Canada's funniest and most talented clowns on CBC?!? Yes, please!!! Followed them since day one - 8 years ago. So, so funny! !